We Like Changing Lives, Do You? It takes a special someone to go out of their way to help a person they have never met and if you have clicked on this page and are reading this you are that special someone! We like changing lives and want to help patients and their families who might need help during the biggest battle of their lives but, we can't do it alone. We need you! We offer several different levels of sponsorship opportunities for local businesses who would like to be involved in making a difference for local cancer patients and their families. Want To Help But You Are Just Too Busy Sept. 29th? We Totally Understand!! We understand that there are great people that want to help local families in need, but they are just too busy to on the 29th to come walk or run with us. This is totally O.K. if you are one of these awesome people you can still donate!! Click the "donate" link below to make your online donation, and thank you in advance for all you support! 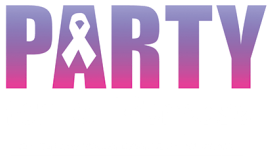 If you would like to help promote Party For A Purpose please feel free to click on "Printable Flyer" and print off a event flyer to display. When You Become A Sponsor Everyone Wins! When you or your business become a sponsor we want you to be recognized for all your effort, and if you own a business each sponsorship levels come with highly valuable advertising opportunities. We prominently and proudly display your logo on all of our marketing materials which include T-Shirts, flyers, posters, banners, postcards, website, social media, roadside signage and newspaper advertisements, we even provide you with a booth spot on the day of our event if you would like to promote your business by meeting the community and giving away logo'd items, brochures etc. Click below on the "Sponsor Form" button to download the sponsor form.